StarChild Academy offers exciting Summer Camp programs and programs during school breaks and holidays. StarChild Academy’s programs feature fun-filled field trips and interesting guest speakers who visit our locations. In addition, StarChild Academy offers week-long summer academic enrichment programs featuring interactive learning experiences such as aerospace engineering, computer programming, robotics, applied math fundamentals, and creative writing. CAMP LOCATION: We are located in Apopka, FL near the entrance to Wekiva Springs State Park. CAMP FACILITIES: Beautiful new classrooms, playgrounds, soccer field, and multi-sports court. YEAR-ROUND PROGRAMS: StarChild Academy provides the highest quality children's programs for those parents who want the very best in education, personal development, and safety for their children. For infants through after-schoolers, StarChild Academy provides it all at convenient locations with extended hours and affordable tuition rates. One look and you will see why StarChild Academy is the best decision for your child's future and your own peace of mind. Highlights include: open from 6 a.m. to 7 p.m.; structured programs based on traditional values and proven curricula; full-day and part-time programs; programs for ages 6 weeks through 12 years including infants, toddlers, preschool, Pre-K, before-school, and after-school; hot meals and snacks served daily in our dining rooms; and, monthly Parent's Night Out programs. 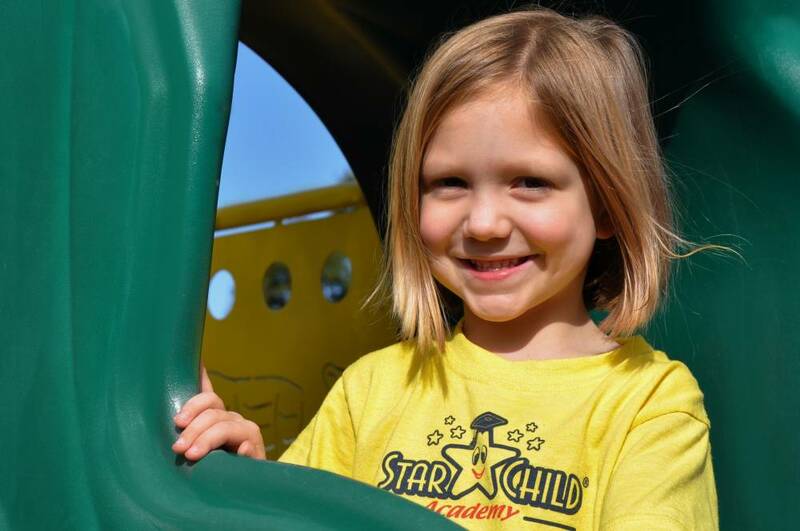 Select StarChild Academy locations offer private Kindergarten through Fifth Grade Elementary School programs with individualized attention and proven curricula. StarChild Academy's state-of the facilities feature: bright, open classrooms with tempered glass walls in all rooms so all activities are visible to everyone; video cameras in all classrooms so that you can watch your child from your home or office via the Internet; telephones in every classroom that allow you to talk directly with your child's teachers; separate playgrounds for each age group with safe, age-appropriate equipment; and, extensive safety features throughout our schools. StarChild Academy maintains a credentialed, caring, and nurturing staff of professional teachers. All staff members are CPR and first aid certified. StarChild Academy is a place where your child will grow academically, mentally, physically, and socially. StarChild Academy's strong academic curriculum includes: phonics-based reading and writing including the Open Court Phonics and A Beka Phonics programs; math including the Saxon Math program; science; social studies; foreign languages such as Mandarin Chinese, Arabic, Russian, Japanese, Hindi, Spanish, French, German, and American Sign Language; arts & crafts; and, music. StarChild Academy schools offer additional extra-curricular activities such as: dance, karate, gymnastics, computers, art, soccer, keyboard piano, violin, and guitar. StarChild Academy's school-age programs include before-school care, after-school care, and programs during school breaks and holidays. Our programs include transportation to and from local public schools, nutritious after-school snacks, homework club in a quiet area, planned arts & crafts, video games, computers, and large playgrounds with sports. StarChild Academy has seven conveniently located schools in the Orlando, FL area including Hunter's Creek, Lake Mary, Oviedo, Waterford Lakes, Wekiva, Windermere, and Winter Garden. In addition to the communities just mentioned, our student population includes children from: Altamonte Springs, Apopka, Casselberry, Forest City, Geneva, Kissimmee, Lake Buena Vista, Longwood, Maitland, Mount Dora, Ocoee, Sanford, Windermere, and other Central Florida communities. StarChild Academy is much more than just a day care or child care center ... we have developed a reputation for having the strongest academic preschool program in Central Florida! StarChild Academy now offers child day care franchises in Florida. StarChild Academy ... "Where Your Child Is a STAR!" OTHER CAMP INFO: Fun-filled field trips and exciting guest speakers. May 2019 to August 2019. Tuition includes all field trips, snacks, and other activities. Visit our website for more details including prices and schedules. Go to The Best Florida Summer Camps Directory to Find More Top Summer Camps Near Apopka, Florida.